Tea originated in ancient China and has been spread all over the world. Everyone in the local area is aware of this magical product and is loved by more people. Tea is fragile and in order to protect the tea from contamination, we need to load it into the tea packaging. Common tea packaging is available in clear plastic bags, printed vacuum plastic bags, kraft paper packaging with windows, rectangular cardboard boxes and paper tube packaging types. Since the tea is easy squeezed that fragile, we recommend that you use hard cardboard boxes or paper tubes as tea packaging, which are not easily deformed by external force. Careful design of the information on the surface of the packaging is critical, highlighting the characteristics of the product and the brand. How to design high quality food grade cardboard tube packaging for tea? First we need to determine the tea capacity, 100g, 250g, 500g or more tea, to determine the diameter and height of the paper tube. On the inside of the paper tube, food grade tin foil is used to prevent moisture and oxygen. 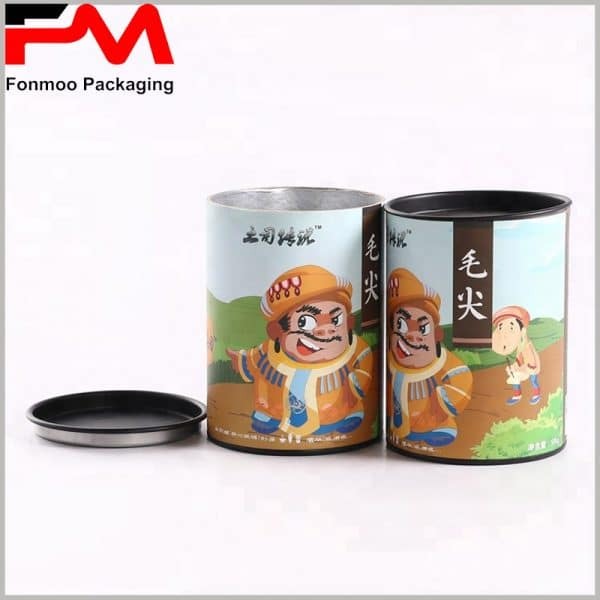 The top or bottom cover of the round boxes can be used with metal covers or paper covers (the cost of the metal cover is relatively high). 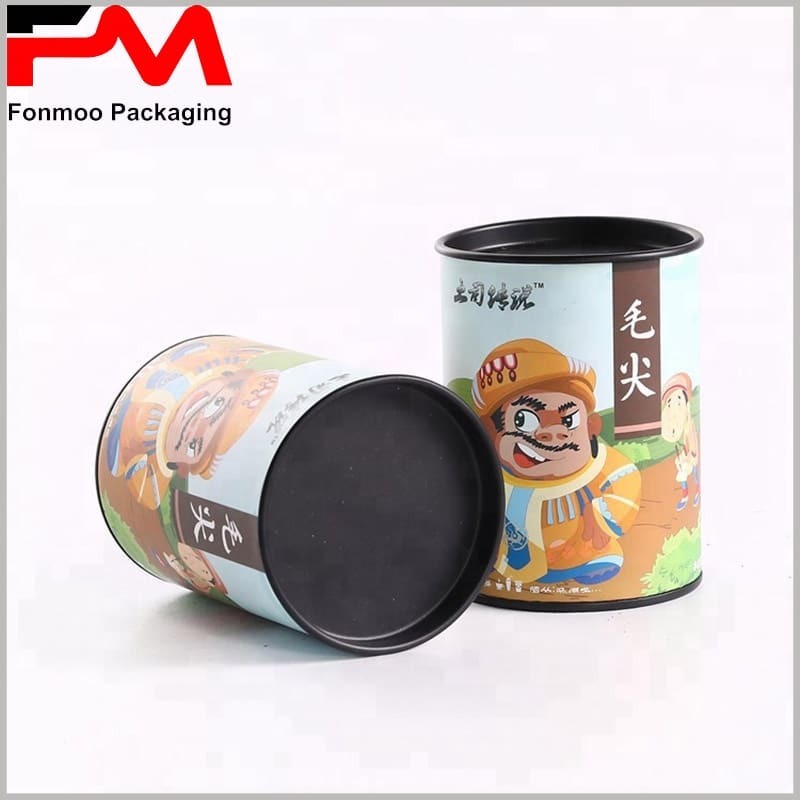 For large tea packaging of 500 g capacity, the tea leaves can be divided into 50 g sealed small packages and placed in large cylindrical packages. More types of food grade tube packaging, you can visit the professional section of our website, or send us an email directly to tell us your needs, we will provide you with the best product packaging.